Read more about the company's policy on dividends and preferred shares. The Company’s dividend policy is to declare at least 30% of its prior year’s net income as dividends, whether in stock or in cash or a combination of both, payable out of its unrestricted retained earnings subject to statutory limitations. 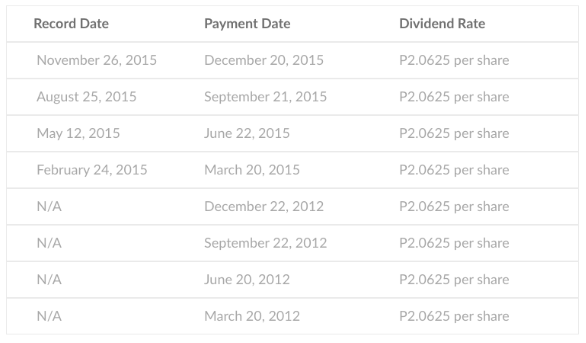 Each holder of a common share is entitled to such dividends as may be declared in accordance with the Company’s dividend policy. The Company’s current dividend policy entitles holders of common shares to receive dividends based on the recommendation of the Board of Directors. Such recommendation will consider such factors as operating expenses, implementation of business plans, and working capital among other factors. Since the issuance of the preferred shares of the Company on September 21, 2010 (the 1st tranche), the Company has declared quarterly dividends fixed at 11.50% per annum, calculated in respect of each share with reference to the Issue Price thereof on each dividend period. 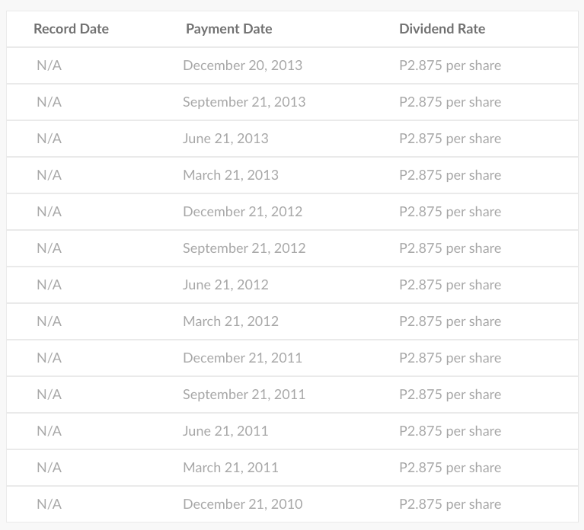 This translates to a cash dividend amounting to P2.875 per share per quarter. 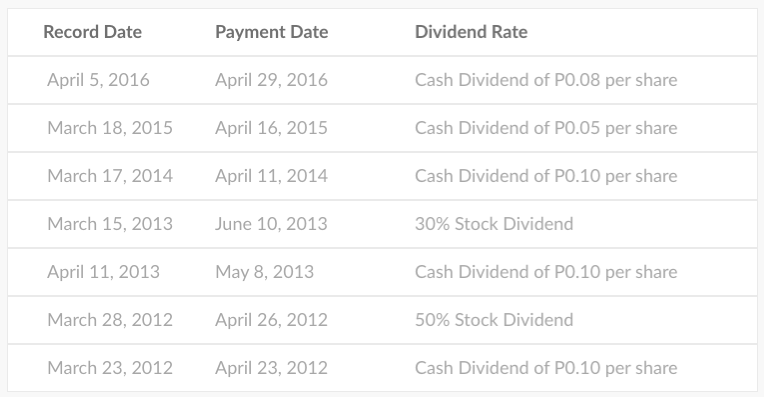 The cash dividends were paid on September 21, December 21, March 21, and June 21 of each year starting December 21, 2010, until the preferred shares were redeemed on December 20, 2013.